The post-election departure of Larry Summers is now official and plenty of progressives seem happy about it. As the argument goes, Summers has opposed liberals on net neutrality and Wall Street reform, while muffling would-be advisers trying to reach the president with more left-leaning advice. “This is a big victory for anyone who voted for change in 2008,” says Stephanie Taylor, co-founder of the Progressive Change Campaign Committee. On the specifics, I suspect, these critics have it mostly right. I didn't cover financial reform or net neutrality, but everything I've heard and read about those debates suggest that Summers really did advocate more conservative positions. 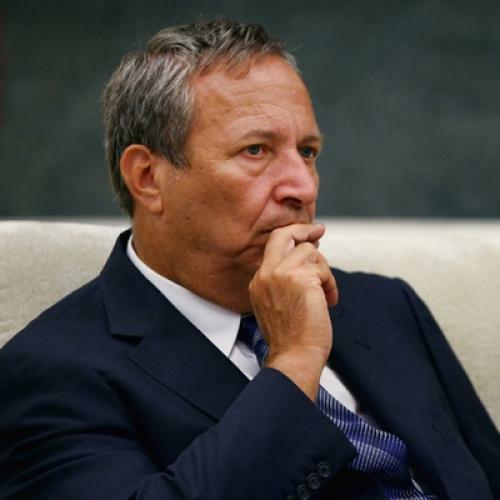 Likewise, several media outlets have reported that Summers tried to keep at least one well-known liberal adviser, Joseph Stiglitz, at a distance. 1. Summers staked out relatively liberal positions on a pair of key issues. In the debate over what to do with the auto industry, Summers urged Obama to rescue not just General Motors but Chrysler, as well. That put him at odds with more conservative advisers who believed, as most Republicans did, that it was better to let at least Chrysler and maybe both companies fail. On health care, Summers was among those concerned, initially, that the administration couldn’t focus on the economy and health care simultaneously. (A lot of people, I know, would say that history proved those concerns were correct.) But, by August 2009, when many of administration officials wanted President Obama to scale back and settle for more incremental reforms, Summers was among those urging Obama to stick with a comprehensive reform plan. 2. Summers has been an increasingly progressive influence on the most important economic issue of the day: Jobs. In late 2008 and early 2009, while the administration was drawing up plans for a stimulus, Summers wanted a large program. Exactly how large is a bit unclear; I’ve heard, and read, different accounts. But we know, from Ryan Lizza's account in the New Yorker, that Summers didn't even present Obama with Christy Romer's proposal for a $1.2 trillion stimulus. And Summers certainly seemed content with the final package, even though we now know it was too small to do the job. Although it succeeded in avoiding catastrophe, it failed to produce a vibrant recovery, precisely as some critics to the left had predicted. But that was then. More recently, according to several sources, Summers has become a forceful advocate for more aggressive intervention. Earlier this year, some advisers, most notably Budget Director Peter Orszag, were citing deficits as a reason to minimize more spending on jobs. Summers pushed in the other direction--and, I'm told, he pushed pretty hard. Not only has Summers advocated more spending. He's become particularly enthusiastic about spending on infrastructure, because of its potential to reduce joblessness among lower-skilled, middle-aged men, who are among those hardest hit by the recession. For at least the last year, and probably more, Larry has been among the economic advisers most concerned about the state of the economy and the state of the recovery -- and the most consistently loud voices for not letting up on fiscal expansionary policies from the federal government. ... He believes quite strongly that a dollar of infrastructure is a smart investment, not just because it creates jobs but because it creates the kinds of jobs which address this deep problem that we have in the labor market. As always, my sources could be giving me a skewed or partial perspective. (Noam is the real authority on these matters.) And the fact that Summers was on the left side of internal White House deliberations doesn’t mean he was on the left side of the national political debate. While he became a strong proponent for universal coverage, for example, he remained ambivalent about the public option. While he's a fan of infrastructure spending, he hasn't, as far as I know, called for a Roosevelt-style public works program. It wasn't as if the president was entirely isolated from contrary ideas. At the Daily Economic Briefing, Jared Bernstein held up the progressives side of the argument, often with help from Romer and non-economists like [David] Axelrod. ... But, as one former Treasury official put it, Obama's economic team wasn't exactly Winnie-the-Pooh's Hundred Acre Wood, with Piglet, Eyeore, Kanga, and the rest, providing a diversity of backgrounds and perspectives. It ran the gamut from A to C, though hardly to F, much less Z. And that leads me to my third concern. 3) Summers' replacement could be a lot less progressive. As several outlets have reported, top administration officials want to replace Summers with somebody from the business community--i.e., a current or former CEO. (Ideally, they'd like to get a woman, since Romer's departure means the economic team is nearly all-male now.) The idea is to disarm critics who say Obama is reflexively anti-business--or that, at the very least, he's getting bad advice because none of his top advisers come from the business community. It's a silly critique, purely on substantive grounds, and it's not as if appointing a CEO will make most of these critics quiet down. But appointing a CEO would likely tilt the administration's internal debates more to the center--to the point where liberals find themselves wishing Summers was back on the job.